How about taking an exciting trip to Rome where you will come face to face with fearless Julius Caesar himself with the latest release – Age of Caesar, powered by Booongo. The imperial slot machine is sure to keep you on the edge of your seat, being equipped with high-end graphics, immersive soundtrack, and rewarding features that will keep you coming back for more. The top-prize on offer is 100x your bet. Age of Caesar slot comes with 5 reels and 30 paylines. Before you set out to Rome, make sure to adjust the bet ranging from $0.30 to $90, by clicking on 'Bet' or 'Coins' button. 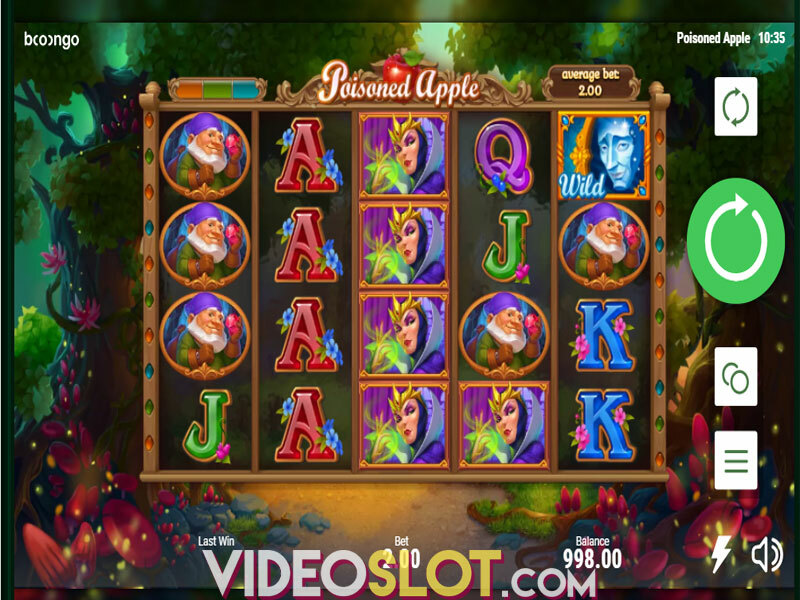 'Autoplay' feature is also available and will spin the reels for up to 1,000 times without interruption. Finally, 'Spin' button will set the reels in motion. Speaking of graphics, Booongo has done a decent job, with theme-related symbols, simple playing interface, and music score that adds to the theme, and creates the right atmosphere. The symbols populating the reels include the Roman Empire flag, a pair of swords, Caesar's gold coin, a legionnaire, and Caesar's lady. In addition, you will come across the regular playing card symbols – A, K, Q, J, and 10, which make up the low-value icons on the reels. Wilds are depicted by a Roman legionnaire, and they can pop up on the reel 2, 3, and 4. Wild symbols substitute for all other symbols to form a winning, except for Caesar Scatters, which are key to triggering main feature. Land two Caesar Scatters on the reels one and five, and trigger 15 free spins. The good news is the free spins can be re-triggered by landing additional two Scatters, so you can win 30 free spins in total. 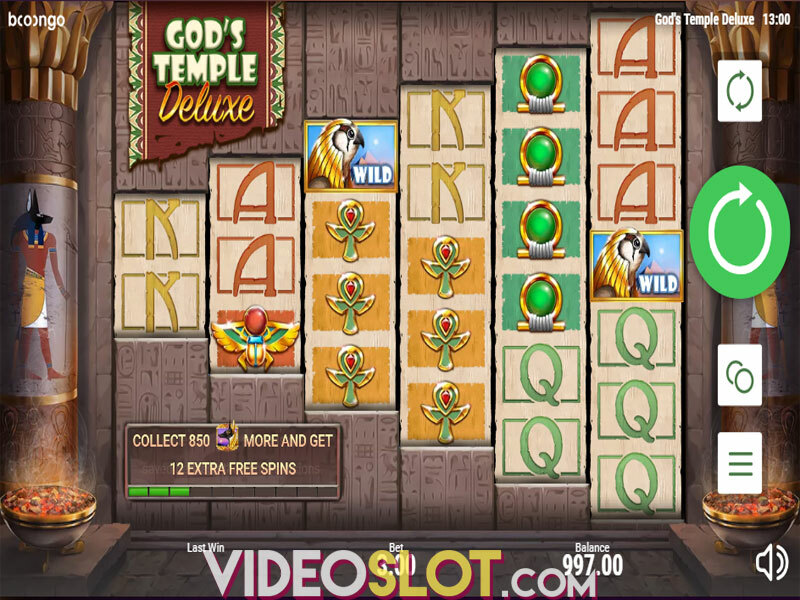 Another big draw of Age of Caesar slot is the Random Symbols feature. Namely, during base game, the pair of swords can turn into any symbols, except for Wilds and Caesar Scatters. On the other hand, during Free Spins feature, swords will transform into any symbols, apart from low-paying card symbols, Wilds, and Caesar symbols. It should be noted that in each of these games, all the sword symbols turn into the same symbols. 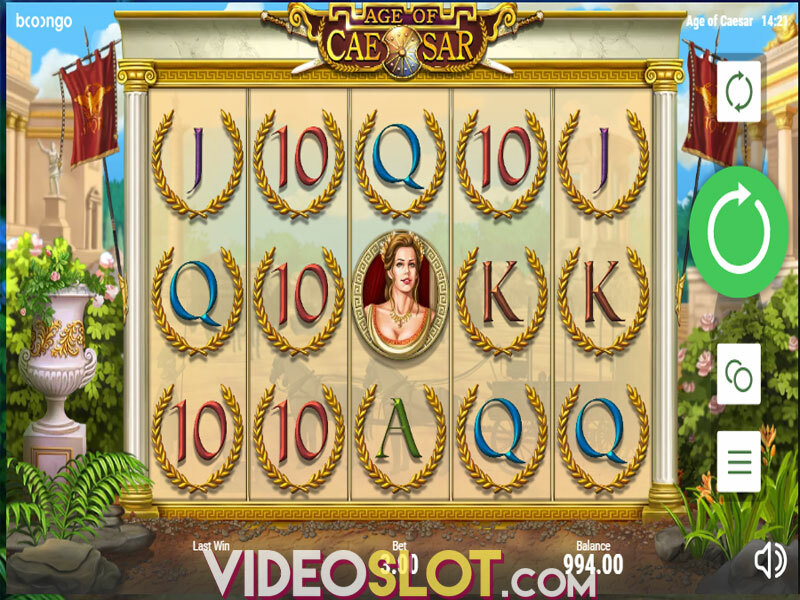 Age of Caesar is a medium variance slot machine with an average return to player (RTP) of 94.47%. We must admit that we are a bit disappointed by the lack of Bonus features, however, if you like simple games and the theme, this title may be your cup of tea. The highest potential win on a single spin is 100x your stake. Where to Play Age of Caesar?